New Delhi, May 15 (IANS) Suspended AAP leader Kapil Mishra on Monday said that he will approach the CBI and the CBDT to take forward his corruption charges against Delhi Chief Minister Arvind Kejriwal and the Aam Aadmi Party. 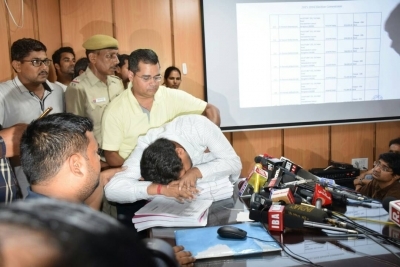 “Whenever I would be discharged from the hospital, I will make a written complaint to the Central Bureau of Investigation and the Central Board of Direct Taxes under black money, hawala and money laundering cases (against Kejriwal and the AAP),” Mishra tweeted. The AAP dismissed the charges as a “conspiracy” by the Bharatiya Janata Party and said the latter was shooting from the sacked minister’s mouth. The former minister has been on an indefinite hunger strike since May 10, at his official residence here, demanding that Kejriwal must reveal the source of funding of the foreign trips of five AAP leaders — Sanjay Singh, Ashish Khetan, Raghav Chadhha, Satyendar Jain and Durgesh Pathak — in the last two years.